1913 built by G.T. Niccol and used by him on the Kaipara. 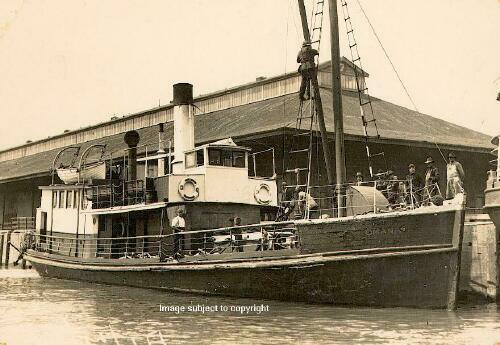 1922 sold to Northern Steam Ship Company. 1940 dismantled and hull abandoned at Ngataringa Bay, Auckland.